VIERNES 11 DE SEPTIEMBRE UNIVERSIDAD DEL CLAUSTRO DE SOR JUANA 14:00 HRS. En 1970, tras una rotunda acción bajo el arco del triunfo en París, Christine Delphy funda, junto con otras mujeres, la legendaria MLF, Movimiento de Liberación de las Mujeres. Por décadas, esta socióloga tenaz nunca abandonó su lucha por los derechos de las mujeres. 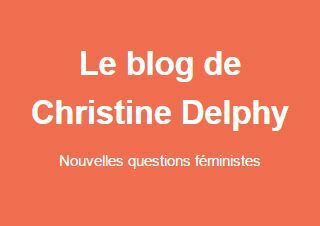 ̈Je ne suis pas féministe, mais ̈… retrata a Delphy y subraya, a través de su propia vida, los avances históricos y las apuestas actuales del movimiento feminista. MICGénero, International Film Festival with Gender Perspective, aims to bring gender studies to a wide and diverse audience that may or may not be familiar with these subjects through film. We think that applying gender theory to cinema presents opportunities to understand social phenomena critically: it allows for a revision and reinterpretation of aesthetic manifestations that deal—directly or indirectly— with subjects related to female and male power relations, sexuality and gender roles, among others. MICGénero’s fourth edition will focus on « Human mobility and migration ». However, MICGénero’s sections encompass different aspects of gender studies and art. MICGenero seeks to spread films with gender perspective in Mexico and encourage analysis and discussion on these subjects in the different Mexican cities that MICGénero will visit in its 2015 tour, as well as to create relationships between filmmakers, distributors, and the cinematographic community, as well as NGOs, institutions and the general public.